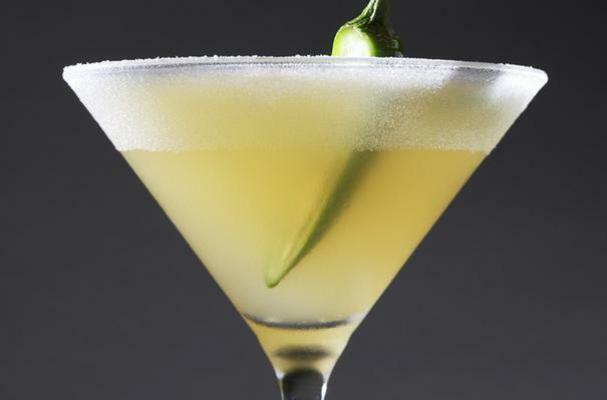 Elderflower liqueur and honey add beautiful floral notes to this flavorful cocktail while the serrano chili adds a nice kick of spice! The blend of lime and orange juices round out the flavors in this delicious tequila cocktail. It's a drink that can be enjoyed any time of year! In a pint glass, crack Serrano chili slice. Add all spirits and mixers, add ice and shake vigorously for 6 seconds. Strain in a super fine sugar rimmed cocktail glass and garnish with an additional slice of chili.